That is definitely the most confusing title ever to be seen on this blog. Strawberry jam made with half the sugar. The first time I ever poured sizzling strawberry jam into a jar and gave it a hot water bath was at eleven years old with my mom. The whole house smelled like a sweetness that made everyone happy about the activity going on in the kitchen. 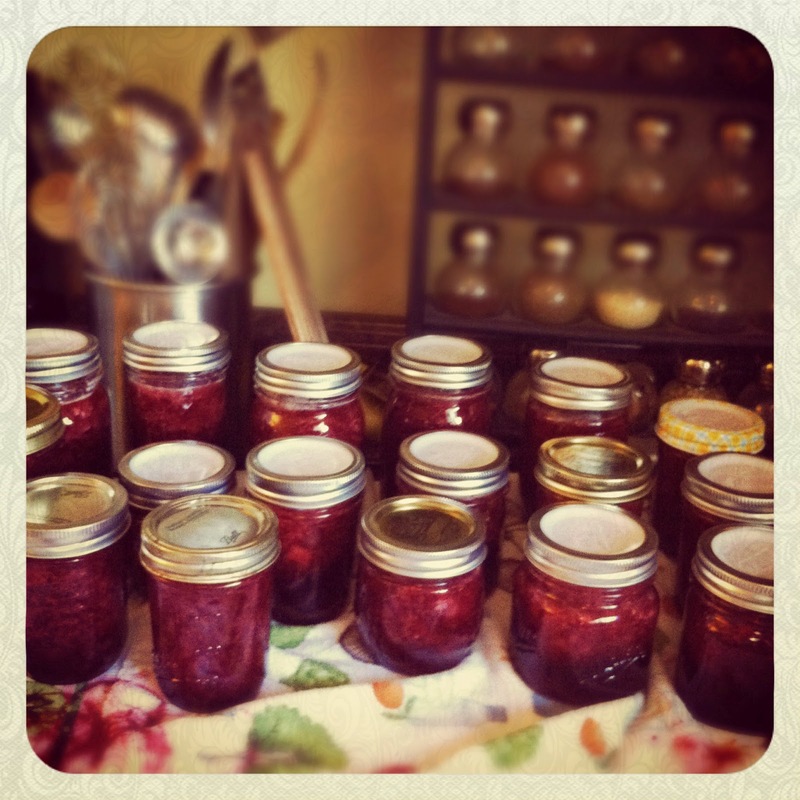 Memories of learning a new homemaking art with my mom, hearing the rewarding pop of the lids sealing, and scraping the jam bowl clean of all leftovers warm my heart. Once I learned the ways of real food, I couldn't justify using sixteen cups of white sugar to fourteen cups of already sweet fruit to make the stuff, no matter how tasty it was. Besides, the jams were heated so much that many of the nutrients were lost in the process. I began dehydrating, freezing, and fermenting more. Forsaking my canner made me a little sad. I missed the feeling of accomplishment it brought to line my pantry shelves with jars filled with beautiful homemade sweet and savory preserves to last throughout the year and use as gifts. The problem I faced with only dehydrating, freezing, and fermenting was space and spoilage. The freezer can only hold so much, and it costs money to keep it running. Once my ferments are done culturing, they need to be stored in the fridge, where I also began to run into space issues. Dehydrating made the most sense. Sucking all the water out of fruits, berries, and veggies enabled me to store a lot of produce in little space. We dehydrate puréed fruit into leathers, berries to be put in breads and as ice cream toppings, and summer squash as chips and to be rehydrated in soups. However, my family really missed having jam around the house. 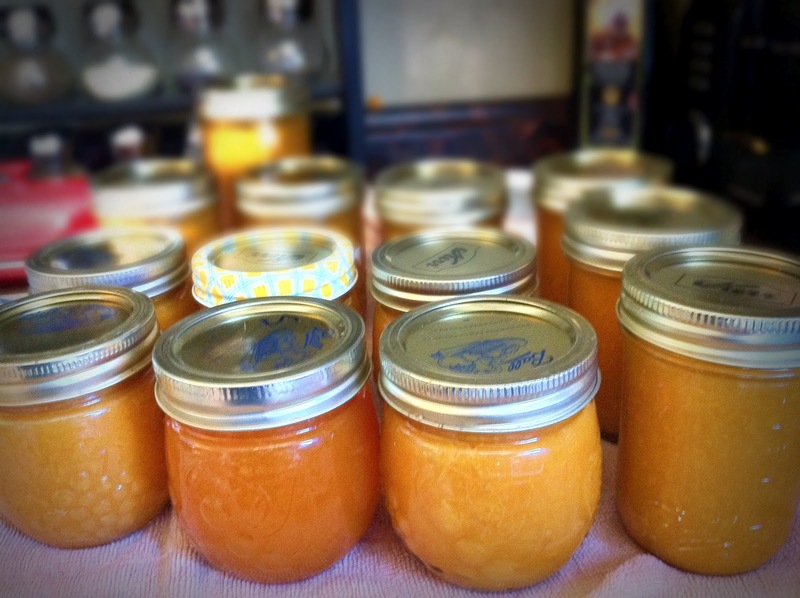 When I learned about Pamona's Pectin and the ability to use half the sugar, or even honey to sweeten and thicken the jam, my heart began to warm back up to the thought of canning again. I started to re-asses my stance on it. Keeping the food we eat as nutritionally dense as possible is very important to me. But there are also logistics I had to look at, like fridge and freezer space, the time and cost of preparing and preserving food, and how long the food can stay safe to eat. Fermented food only stays good for two to six months in the refrigerator. Like canning, frozen and dehydrated foods can last for a year if done properly. We have a huge supply of berries, nuts, meat, pesto, enchilada sauce, almond flour and almond butter filling our chest freezer, not to mention any leftovers to pull out when needed. There is just no room for freezer jam. Also, I was hoping to freeze some salsa but read it doesn't thaw well. I began to see the need for shelf-stable preserves. It was time to look at some important logistics: time, cost, and quality. Is it worth it? The short answer is, in my opinion, yes. The quality in taste and color when it comes to home canned preserves is simply superior to anything store-bought. The added bonus I enjoy is the process. I find canning to be very theraputic: the chopping, mashing, stirring, pouring, and of course the fragrance. It's a peaceful experience alone and very enjoyable with friends and older children. Canner kit. Sometimes it's nice to start off with an all-new set. Or, you can piece your own together by garage sailing or asking friends and family if they have any canning equipment they'd like to loan or give you. My mom gave me all her equipment. I hope to can with her again someday soon, but in the meantime, it's being put to good use. Pamons's Pectin. If you want to use half the sweetener that normal pectins require, or desire to use honey or juice instead of sugar, you must use this pectin. Reducing sugar or using anything besides white sugar with any other boxed pectin will result in runny jam. Jars. I like to use 1-pint sized to 1-quart sized for our family's jam and salsa stash (there are seven of us so we go through things pretty quickly) and half-pint jars to use as gifts. This is another item you can ask friends and family for or find at garage sales. My grandma has a stash waiting for me (I can't wait!) and I've found gorgeous jars at garage sales for $2 a dozen. Be sure to check for chips though. Any chips on the top will result in poor sealing. Tattler Lids. These are BPA-Free, reusable lids and seals that I use for our family's stash. I use the lids that come with the jars for the ones I plan to give as gifts. The bands that come with the jars are used to keep the seal on while the preserves are given their water baths and then can be removed and used for the gift jars. Plastic lids. These are used when you're ready to pry open your Tattler-topped jars. Remove the reusable lids, wash, and store for the next canning session. Place these handy lids on your opened jars and it's ready for the fridge. I also use these lids for ferments, kefir, creme fraiche, and spices I store in jars. Preserving with Friends DVD. This isn't a must-have, but if you don't know anyone who can teach you how to can, this will be very helpful. The sweet ladies also show you how to ferment and includes print out recipes and instructions. Other ways to cut down the cost is buying bulk sugar or honey and growing your own produce. Even better, ask friends or family with gardens and fruit trees if you can pick some of their harvest. Return the favor by sharing some of your preserves. Throughout the summer, I'll be sharing my canning adventures, along with what I end up freezing, dehydrating, and fermenting. I'll try to include details on cost, time, yield, and if I thought it was worth it. Join me in preserving the harvest! What would you like to learn to preserve? If you already do, what's your favorite thing to put by? Thank you for sharing your advice. I am a bit intimidated by canning but just received several lbs of fresh raspberries from a friends' yard. I think I need to step out and make some jam! We made kiwi jelly this year and it is just beautiful and so tasty. I struggle with all the added sugar too I will have to buy me some of the Pamona pectin. Oh, Katie.....I'm so excited! 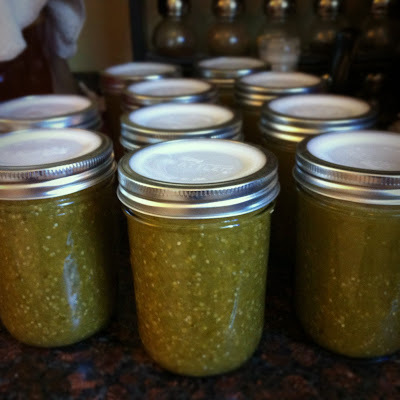 I love your blog and topics, and I've been thinking about canning this year and if I am capable without poisoning my family. I can't wait to read your adventures and learn. 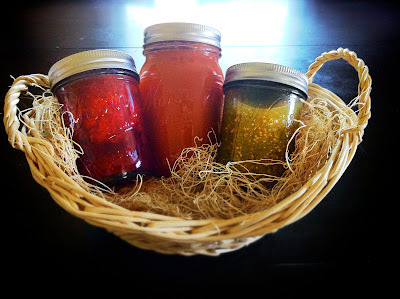 I just wrote a post today about preserving the harvest, breifly talking about those four methods! :) I'm waiting to get my tattler lids in the mail. Then I'm headed to pick some free fruit and buy seconds at the farmers market!